Buzz words usually get up my nostrils but one particular word strikes an accord with me because I like the active engaging process that is sounds like. That word is ‘Synergy’. There is a lot of synergy between the Department of Conservation and volunteers. Without the energy and enthusiasm that volunteers bring to conservation work, many tasks that may be lower in priority, can get done and add real value to the overall conservation effort. Volunteers relax during a days work. It’s about making a positive difference. It could be painting a hut, planting a wetland, helping on a species recovery programme, clearing predator traps, being a hut warden and the list goes on. Being a conservation volunteer is about taking responsibility for your environment and having a good time into the bargain. The mutual benefits for DOC and volunteers are etched on the smiling faces of everyone involved. 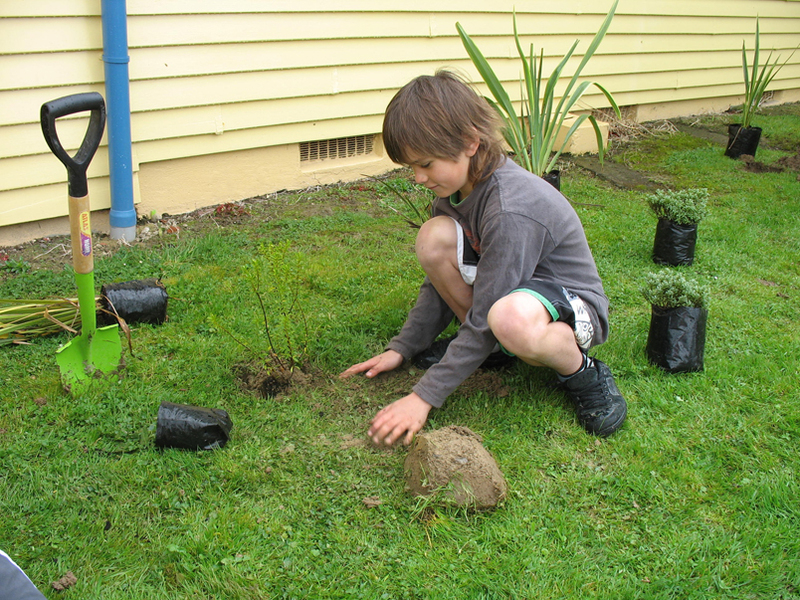 A young volunteer chips in with tree planting. 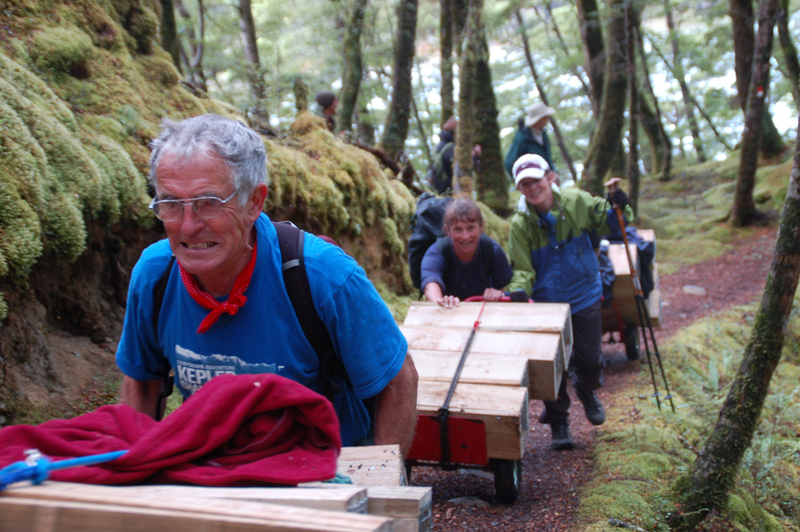 Volunteering may mean getting to places that are out of the way and almost inaccessible. Take the case of some keen rock climbers who, under normal circumstances, would never have gotten to the middle of Fiordland to climb. An opportunity arose to look at a rare lizard that lives on steep rock faces and to access the site, rock climbing skills were needed. The climbers were able to access the steep cliffs, bag some climbing and provide support to understanding a species that is known from only one site in the world! Now that’s a win-win, isn’t it? On a less arduous scale, there are opportunities to work in visitor centres. 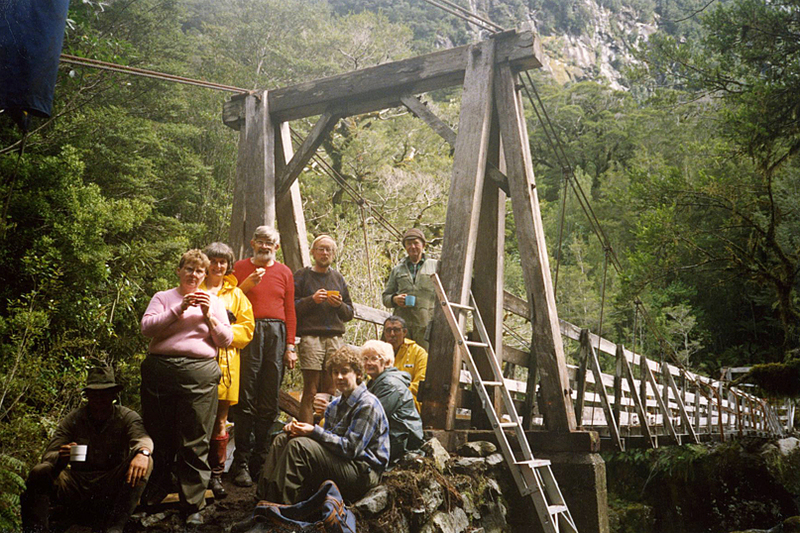 Become involved in telling stories about landscapes, historic sites, natural values and other !! Volunteer work isn't necessarily easy. So if pounding the pavements and sitting in an urban jungle doesn’t raise your pulse rate, click into the DOC website or contact your nearest DOC office and ask about volunteering opportunities. See you out there.